Everyone knows Spyro from the 90’s much like Crash Bandicoot and Banjo-Kazooie. I don’t remember how many Spyro games I’ve played, but the saga is burned to my mind very strongly and it has a special place in my heart. 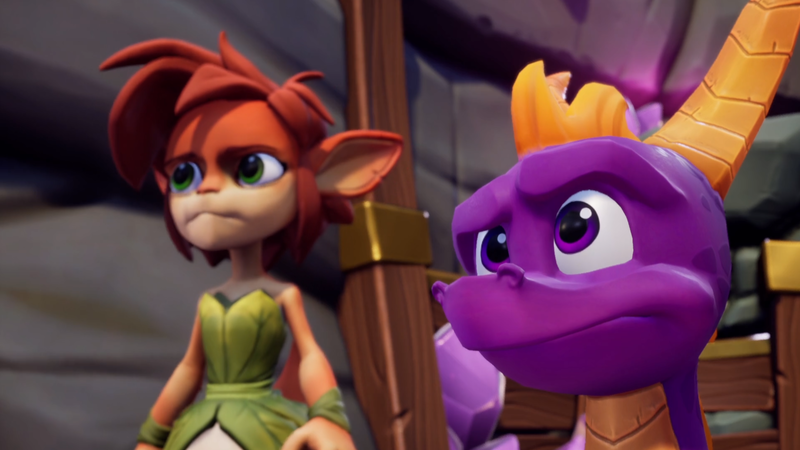 When the announcement of Spyro remake came I was thrilled, but also I was worried. As I have played remade games and mostly I didn’t like them as much as liked the original ones. How about Spyro Reignited Trilogy? Spyro Reignited Trilogy contains the first three Spyro games and I believe you can play them in order of your liking. As playing them all I realized they were more like three different ensemble and not a one continuous plot. I played them in order and the story is mainly collecting crystals, medals, or freeing and helping non-enemies and killing the bad guys. The first game, Spyro The Dragon, is about saving dragons by freeing them from crystallization which enemy Gnorc has entrapped them. The story is barely told in the game and it was more of tiny little pieces here and there. I would’ve liked more story of the world and history and something that fills my knowledge how everything came to be around where I was. Spyro 2: Gateway To Glimmer was more story-driven. It had clear plot, characters and meaning. 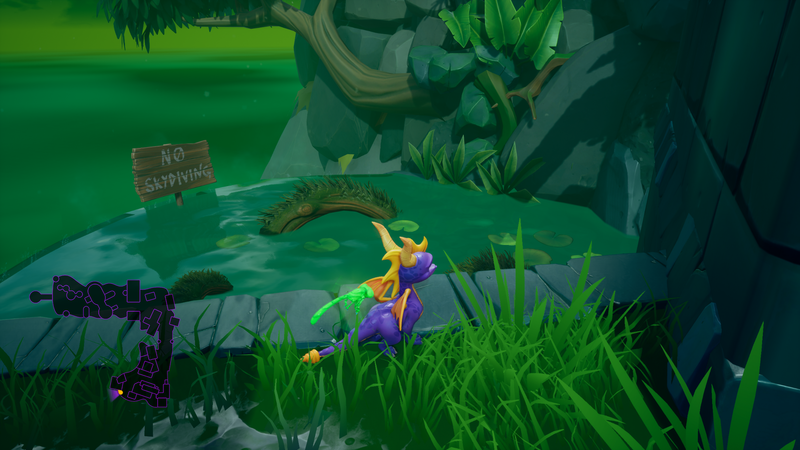 This time Spyro goes through portal and ends up place called Avalar where bad guy Ripto has taken over. 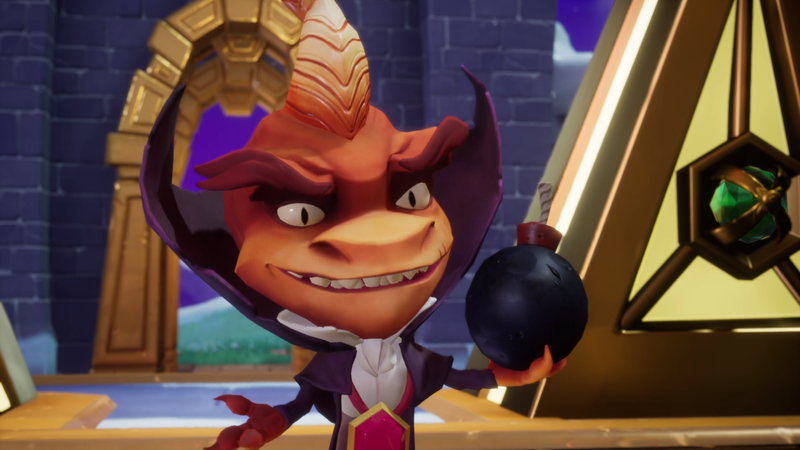 With help of a faun Alora, Hunter and many other Spyro goes after talismans that is needed to defeat Ripto. 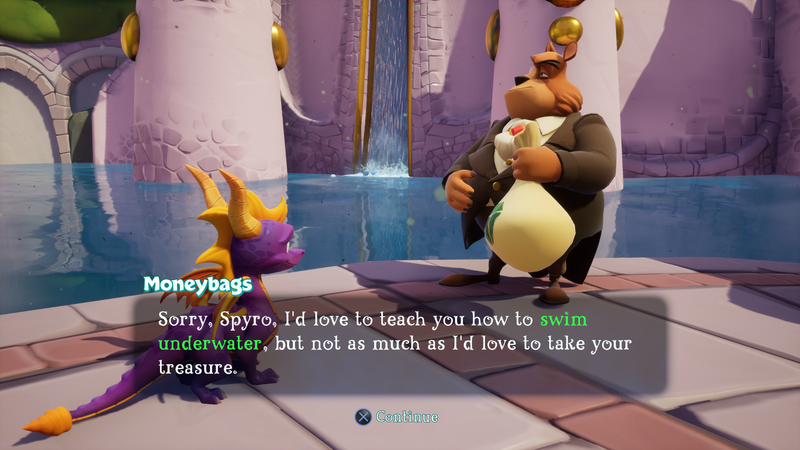 In Spyro 2: Gateway To Glimmer the story is more present and it goes on very well. And with so many speaking characters they fill details of the magic land. Spyro: Year Of The Dragon is story of how the Dragon Eggs are stolen from the Dragon Realm by the order of evil Sorceress. Spyro goes after the eggs and is once again helped by characters like Hunter, Sheila and Sgt. Byrde. A lot like in the previous title the story is very full and overflowing with speaking characters and cutscenes. All in all the three games are good and unique story-wise. What helps is the voice acted characters that brings themselves to life. 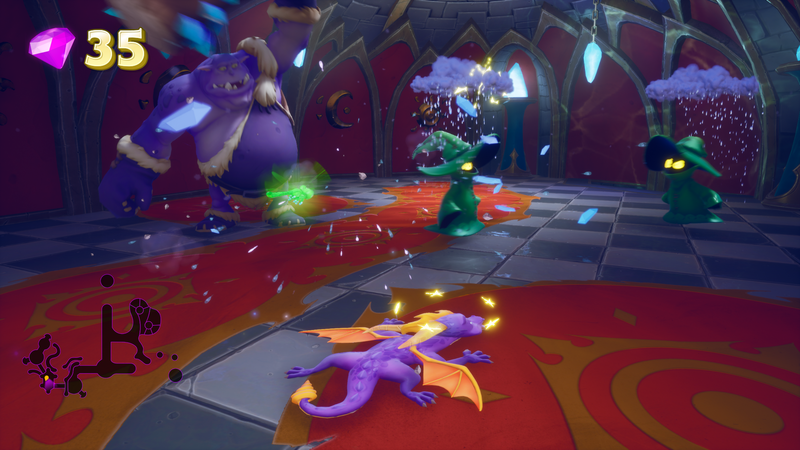 Spyro Reignited Trilogy felt like a blockbuster cartoon movies, but you can interact in it. It’s clear that the controls have remade as well. Couple decade old controls wouldn’t help this game at all. Even so, the controls feels very same and my old memory knew exactly what buttons to press and how the Spyro would react and move. As playing I had the exact same pinch in my stomach and twitch in my toes as I jumped and tried to glide over a pit and barely hitting the ledge but damn… I fell. Run up back and tried again, and again, until I’m on the other side. This is very 90’s platforming when every pixel counts. The gameplay was easy, yet exciting. I didn’t have any moments of wanting to throw my controller to the wall and rage quit. I enjoyed this whole approx. 12 playing hours and the only problem was me trying to stop playing. There was noticeable differences in the gameplay from game to game. It was very clear how the first game had simpler approach on everything and in the second it was more complex and the third one was mixture of both. Level design was bit dated (as this is remade where they wanted to obviously stay true to the original game) and personally it felt confusing sometimes. What I still was hoping for was something new, something extra, like completely out of the game new levels. All three games are graphically the same; sharp, smooth, colourful, big and bold. I loved how everything looked and the deep colours of the environment. Everything was on point visually and I wouldn’t change a thing about it. 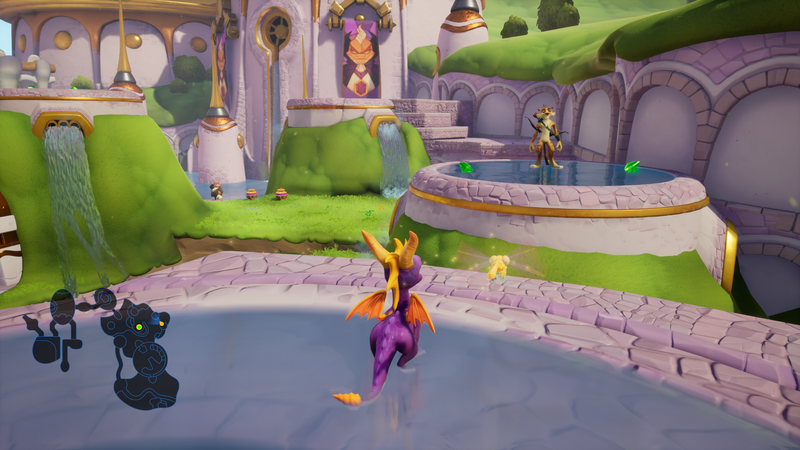 Spyro Reignited Trilogy has more than 100 levels and over 400 enemies all remade staying true to the original. This is something I like when developers keep the originality of the game. Most of the time when something is remade, such like movies or cartoons, after 20 years lot has changed in style-wise and cultural-wise. There’s new young audience, trying to get their attention and if something looks and plays 20-years old they are not interested. 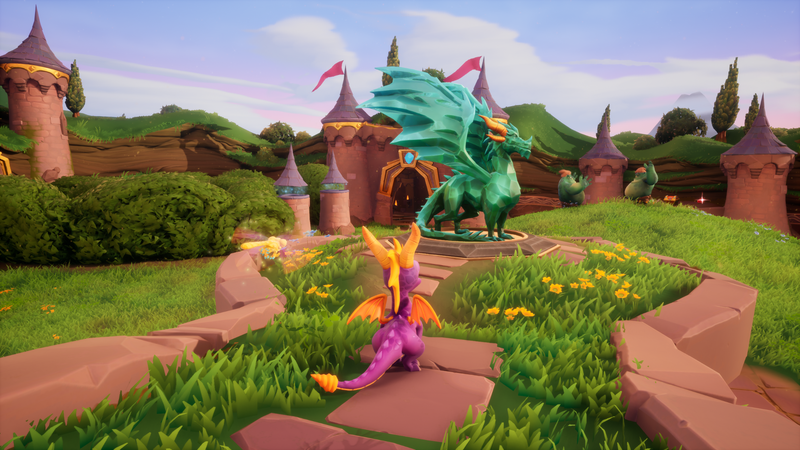 Spyro Reignited Trilogy is an exception and nothing is needed to be changed with it for getting audience from all ages. Technically I didn’t come across any issues. I mean ANY. No suddenly loading objects, lagging, short distance drawing, glitches, long loading times. 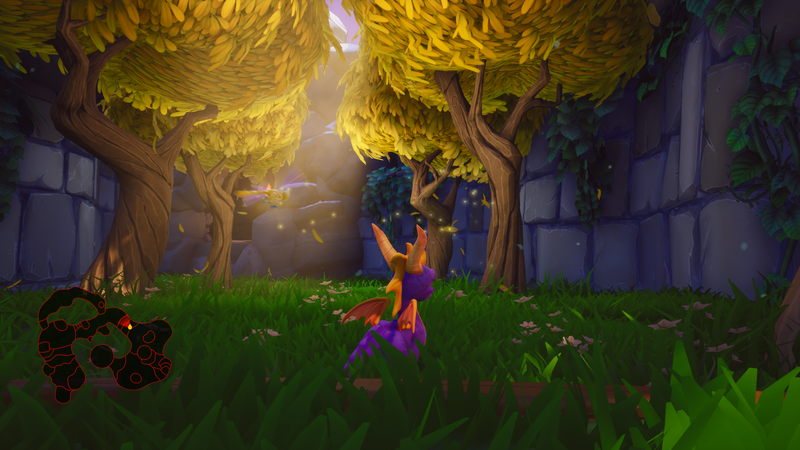 What bothered me was how the beautiful surroundings got unnoticed because the camera being so close to Spyro. There is a move that gives you option to look around, though. I was surprised how Spyro Reignited Trilogy includes the original background music. It can be easily changed in the menu. I tried it and it really sounds different. The remade music is the same, but it’s much more clear and deep when the original is more dull and naked (I think this is due to the technology when PlayStation games came in CD’s in the 90’s and it had very limited data.) People who loved the original music is surely going to like the remastered as well. I also loved the sound effects and all the funny noises enemies made as I blast them. The voice acting was also completely remade, of course it staying true to original as well. I always pay very close attention to difficulty. For all three games it felt more of the same throughout the gameplay and only super difficulty was the main/final boss(es). They took me some time to complete and what fun ride it was. When finally beating them I could thank myself that I managed to beat them AGAIN. I also realized that the difficulty was toned to be balanced through the trilogy and it didn’t jump from 4 to 10 when changing games. As I already said about the camera and how close it’s to Spyro. It makes very hard to see around and when enemies or objects are close it was just impossible to make out what was happening. What I would add, is the option to adjust the camera. I enjoyed of playing these ‘blasts from the past’ and I know you going to as well. This is ageless saga and I can imagine of it being played 20 years in the future. Spyro Reignited Trilogy is so much full of nostalgia that you need to keep your phone close in case of overdosing it. Technically, artistically, gameplayally, emotionally, audionally… I wouldn’t change a thing (except little bit the camera). The levels are always full of different cultural themes that made it pleasureable to play. This was one of those games that made me literally say “Just one more level! !” as I needed to do my chores. Yes, the chores can wait.